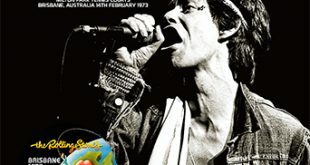 “Jumping Jack Flash” takes us right into the hub of the audience as Jagger postulates: “There’s so many of you, just be cool out there in the front end – don’t push around…” The Stones blast into a classic “Carol” with Charlie heard pushing the pulsating beat intermittently. 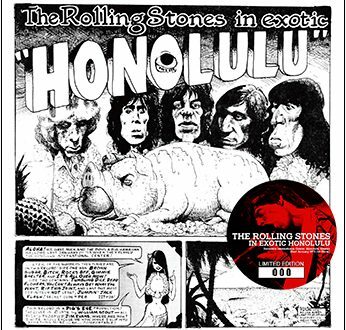 “Sympathy For The Devil I” offers a great intro and, of course, ends at 1:44. 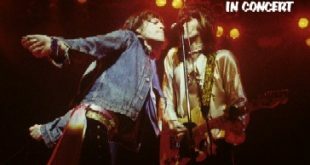 How many times have the Stones started and restarted tracks in one concert…A fan is heard saying: “Get me outta here” and another fan replies: There’s nowhere to go”. 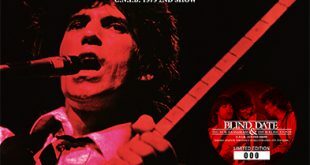 A blistering 7:33 minute “Sympathy For The Devil II” follows. which, In my opinion, is one of the greatest live versions of this track. The Stones sounded like a carefully manicured R & B band. “Love In Vain” is rich with bluesy crafted textures. 44 precious seconds of “Under My Thumb I” are followed by my all time favorite “Under My Thumb II”. The eerie transformation of “Under My Thumb II” as compared with its predecessor is indicative of what transpired and how, I believe, it directly impacted the Stones. Godfatherecords used the same source as “Altamont 1969” The Killer festival [VGP-113] which, in my opinion, was previously the best original silver label issue released to date of this concert. The most recent version of this concert was titled “Altamont Speedway Free Festival” on the TARKL label [TCD-001 1/2] which, according to gsparaco’s CMR review of 2-18-08, “isn’t an upgrade over the Vinyl Gang version of the show that came out more than a decade ago, but this is another opportunity to find this tape”. G.R. 378/379, however, has reduced some of the tape skips and drop outs in the above Vinyl Gang Product source without sacrificing any of the music in the process. The gain is comparable to VGP-113. Some of the isolated screams have been turned down and the levels of some of the passages have been raised slightly when the taper seemed to be covering his tape machine. My feeling is that G.R. 378/379 has cleaned up and tweaked the existing source admirably. 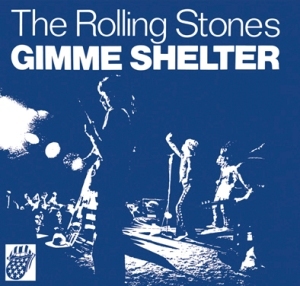 Kudos to Godfatherecords for releasing, without question, the absolute definitive version of “Gimme Shelter” ever. Their legendary trifold packaging is one piece of gorgeous art form capturing the spirit of this performance and includes an informative insert highlighting detailed background information, with another colorful insert depicting exquisite and colorful graphics and period newspaper clippings. And to top it off, believe it or not, they have included yet a 3rd insert which is a pristine 2-sided poster. 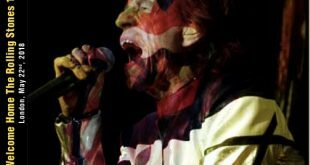 Thanks for taking the time to verify the times Rocker…I totally agree I want all the stage and crowd banter to get the full concert experience…time to go watch Gimme Shelter…..
DAC-019 clocks in at 76:53. VGP-113 clocks in at 42:00 + 41:28 minutes. GR 378/379 clocks in at 41:56 + 41:26. I can’t speak for TARKL. I would surmise that both VGP-113 + GR 378/379 clock in at roughly 6 minutes more due to collective extended stage + crowd banter between tracks that, in my opinion, enhance the listening experience. Thanks Rocker, is the GF release 6 minutes longer than the old VGP, new TARKL version? Is it more complete?? Trying to figure out if it has more music. Would just like to add that I finally got this one last week, and although “Brown Sugar” abruptly ends prematurely & there are a couple/few lesser minor issues, I just about mostly agree with everything positive said about this Godfather 2-CD – highly recommended. It does sound somewhat thin sometimes, but other times it actually sounds a little bass-heavy, which I don’t mind significantly, and there’s not really much that’s objectionable about this release – at least not to me. I certainly don’t regret obtaining it, and thus thanks to all who contributed here. Oh I guess my words were too hard, you are right about that mojopin. I just felt disappointed about the new CD I had just recieved – and that it was a waste of money. It’s not “ruined”. But I DO think it sound too processed, and I prefer the recent torrent, and also VGP – over this godfather. I have no agenda against that label, by the way. I find some of their releases to be quite enjoyable. But for the most; I think they are to heavy on the processing. I don’t find big differences between the VGP and GR equalization, they are very similar. The main difference is that the new GR version misses many clicks or cuts from the original tape. I really don’t understand how Bjarke could state that “GR has ruined the recording”, this is completely ridiculous, maybe many of the GR releases sound different on his player cause I have never read a Bjarke’s positive feedback on a GR release here. I probably would have ordered this one if it weren’t for all the comments about it being so thin, which is 1 aspect of a recording that I very much tend to dislike. I realize, of course, that just using a graphic equalizer can help a lot oftentimes, but I really don’t like having to mess with such controls, as even just having to adjust the volume control is enough to annoy me. Otherwise, judging from all the other statements, apparently this is another great Godfather release. Thanks for the review & all the subsequent comments. For those interested, Altamont Speedway is located in Alameda county and was/is closer to Oakland than San Francisco. I have the Vinyl Gang and IMO this new Godfather is an upgrade and considering the issues the taper or tapers had to deal with, a very enjoyable release that has remained in my player for over a week now. Unless a upgraded source surfaces, this is probably as good as it gets. Excellent packaging too!!! I am really pleased after what I listened – the sound is much more punchier and bright than all previous releases of this show. Albeit its tragical history (Meredith Hunter, R.I.P.) and overall thrilling, dark atmosphere, this is the definitive edition and should be recommedned for anyone, who’d like to explore the history of popular rock music. This is a new remastering, not a torrented one. Mr. DH torrented a partial, and then a complete upgrade many months ago via the internet which is extremely likely the source for this release. It is the improved “mixed” audience source akin to VGP-113 but cleaned up and with lavish packaging. G.R. 378/379 successfully managed to confine itself to tweaking the above good – very good audience source. In his last comment, Rocket claims this is a MIXED source. Well, is it mixed with the Radio broadcast or is it just the audience source? Is it a lower generation than the tape VGP used? I would rate it as a good – very good audience source that is very listenable. The recording quality fluctuates with some passages in excellent quality and others in fair quality as well. Overall, this is the best complete mixed source out there. Does this audience source is the same known commonly as fair to good tape? The recording itself is very thin but clear. Compared the the TAKRL release Godfather does sound more lively, enjoyable and is an upgrade over the older versions.